I find a lot of loose change in books, I usually just throw it in the cash register. However, this morning a penny fell out of a paperback and instead of the usual coin-hitting-the-floor sound, I heard a "pink." I tracked down the penny and was surprised to see it was empty on the other side. 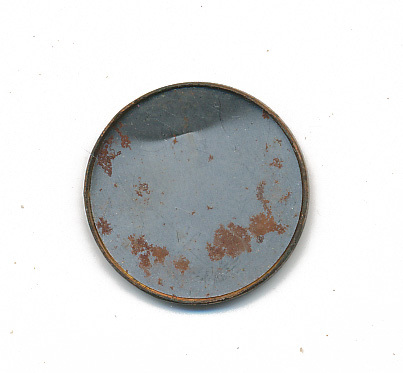 I can't image what the purpose of this half coin might be. Found in "Bush Baby" by Martin Woodhouse. 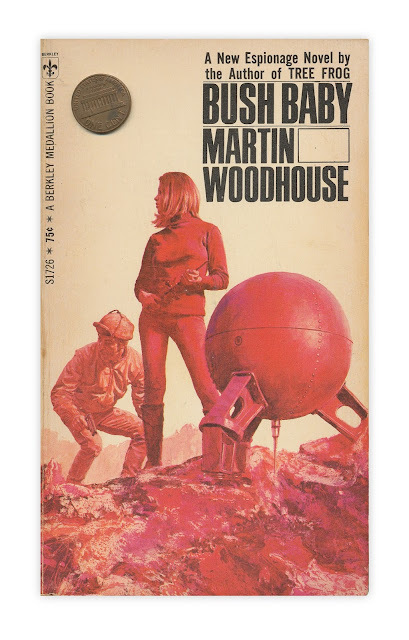 Published by Berkley, 1969. Check with your local numismatics. If this is a real penny that came from the mint and was improperly cast it could be valuable. If by "empty on the other side" you mean hollowed out, it's probably half of a hollow "spy" coin, used for caching small things. It's a magic trick. Place a dime underneath, and you can amaze your friends by turning that penny lying on your palm into a dime just by passing your other hand over it briefly. I had one when I was a kid.